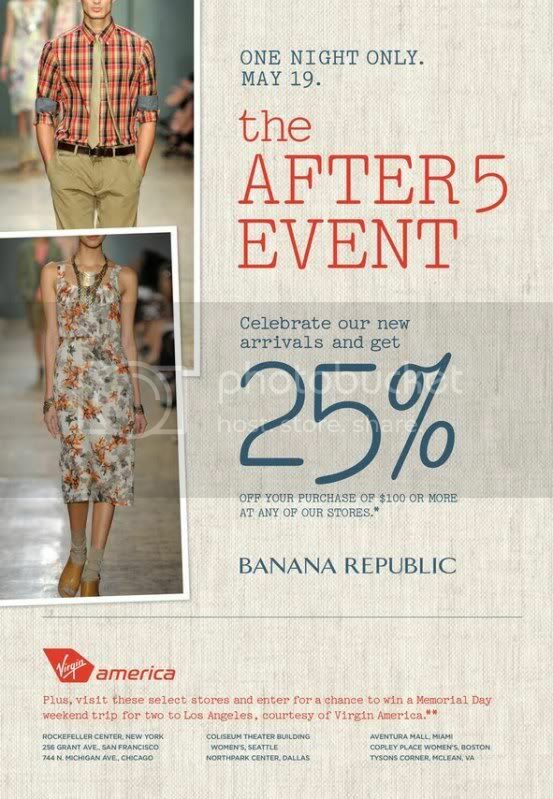 Next Thursday, May 19, I'll be hosting the After 5 Event at the Banana Republic in Tyson's Corner, VA! From 5 - 7 PM I'll be hanging out, providing styling tips and helping people build out their wardrobes! Get 25% off any purchase of $100 or more and enter the raffle to win a free 4-day, 3-night, trip to Los Angeles, compliments of Banana Republic and Virgin America!!! So if you're one of my local readers, you simply must come out and say hi!